Make your own story book and customize your perfect bedtime stories for your child with MailPix. 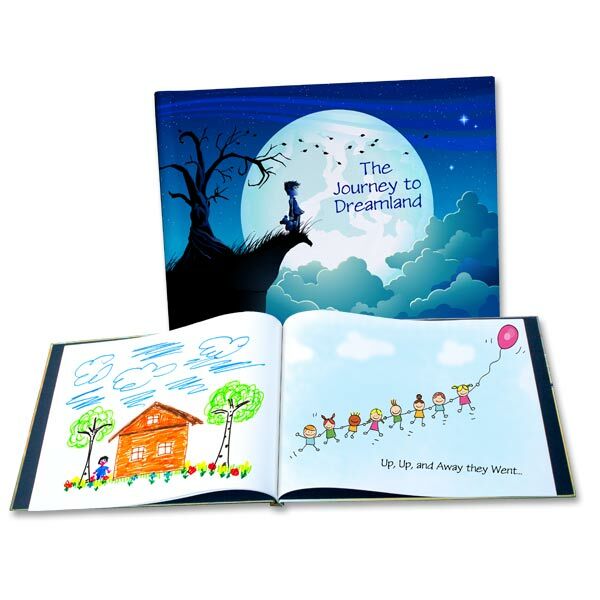 Personalized story books stimulate your child’s imagination since you can write a story that incorporates their own illustrations. Create one for an upcoming birthday, or the holidays for a gift your kids will always cherish! Simply scan your artwork and upload it as a JPG file to your MailPix account before creating your book. We have multiple templates to select from so you can customize a collage on each page or use our full page option to print your artwork edge to edge for a simple, professional look. Custom printed story books are also ideal for showcasing artwork and drawings if you're making your own portfolio. Choose from classic hard cover photo albums or our soft cover photo books and tell your story with a personal flair!